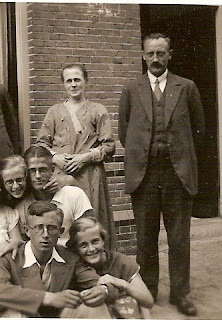 This picture of my Grandparents Taeke and (Sarah) Regina van Popta was taken in 1934. The young man with his hair parted down the middle is my (then) 17-year old father. The other three young people are sisters and a brother of his. Thanks for sharing. I love these old photos and having someone walk down memory lane.